Every year alcohol companies spend millions of dollars in an attempt to acquire more consumers, there are probably no lengths they will not go to in order to generate more revenue for their multibillion dollar industry. Fortunately, there are a number of organizations whose main goal is to make it harder for people to acquire alcohol - especially alcohol products directed at the younger markets. 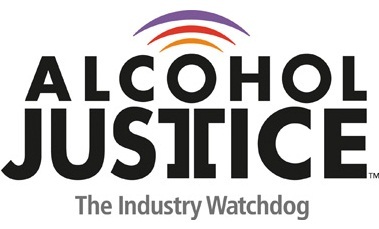 One such organization, the Marin Institute, recently announced that they would be changing their name to Alcohol Justice in order to better represent their goal and mission. “Just as the term ‘environmental justice’ entails special harm to communities of color, Alcohol Justice hopes to expose the insidious harm to ethnic communities, women and even the LGBT community from the actions of alcohol corporations”, Alcohol Justice Executive Director/CEO Bruce Lee Livingston wrote. Founded in 1987, the organization campaigns to have the price of alcohol raised. The removal of dangerous youth-oriented alcoholic drinks from the market is another priority they focus on, as well as the restriction of alcohol ads and promotions. While the “Big Alcohol” companies are the biggest concern, the smaller alcohol companies like the makers of Four Loko, which sent a number of teenagers and college students to the hospital this year. There can never be too much counter marketing, we need to keep our youth informed as to the dangers and risks associated with alcohol. Hopefully, the Marin Institute’s new name will have more impact than the former.